In what is being called “the strictest anti-discrimination law of its kind in the country prohibiting discriminatory employment credit checks,” New York City’s Stop Credit Discrimination in Employment Act (“SCDEA”) is in effect as of September 3, 2015. SCDEA amends New York’s existing Human Rights law by making it an unlawful discriminatory practice for employers, labor organizations, and employment agencies to request or use the consumer credit history of an applicant or employee for the purpose of making any employment decisions, including hiring, compensation, and other terms and conditions of employment. There are, of course, exceptions. Since credit histories are used to protect organizations, their customers, and even the public at large from a fiduciary standpoint, employers’ rights to use them are not being completely stopped. Employers required by state or federal law or regulation or by the Financial Industry Regulatory Authority (“FINRA”) to use an individual’s consumer credit history for employment purposes. Police officers, peace officers, or positions with a law enforcement or investigative function at the Department of Investigation (“DOI”). Positions subject to a DOI background investigation. Positions requiring bonding under federal, state, or City law or regulation. Positions requiring security clearance under federal or state law. Non-clerical positions having regular access to trade secrets, intelligence information, or national security information. Positions involving responsibility for funds or assets worth $10,000 or more. Positions involving digital security systems. If you, as an employer, are wanting to claim an exemption, you must show that the position or role falls under one of the eight exemptions listed above. You should also inform applicants or employees of the claimed exemption and keep a record of your use of such exemptions for a period of five years from the date an exemption is used. According to the New York City Commission on Human Rights, the SCDEA is intended to stop employers from using consumer credit history when making employment decisions—a practice that has a disproportionately negative effect on unemployed people, low income communities, communities of color, women, domestic violence survivors, families with children, divorced individuals, and those with student loans and/or medical bills. The City Council further noted that multiple studies have failed to demonstrate any correlation between individuals’ credit history and their job performance. 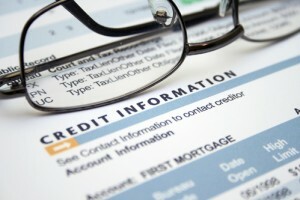 Using consumer credit history in an employment decision or when considering an employment action. Background checks are still allowed. The SCDEA does not impact employers’ right to use other forms of background screening for employment decisions. Beware: The penalties are stiff. The Commission takes seriously the SCDEA’s prohibitions against asking about or using consumer credit history for employment purposes and will impose civil penalties up to $125,000 for violations, and up to $250,000 for violations that are the result of willful, wanton or malicious conduct. Legal experts suggest employers should exercise extra caution when relying on the SCDEA’s exemptions as the civil penalties for violations are quite high. Further, these penalties are in addition to other remedies available to private litigants who claim that the employer’s use of their credit history violates the New York City Human Rights Law. Remedies under the New York City Human Rights Law may include, but are not limited to, back and front pay, along with compensatory and punitive damages and attorney’s fees. In light of this new law and enforcement guidance, now is the time for employers in New York City to evaluate and reassess their practices and procedures related to employment-related credit checks. Need help? 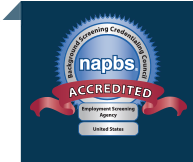 Give us a call or request a consultation to discuss your employment screening program.